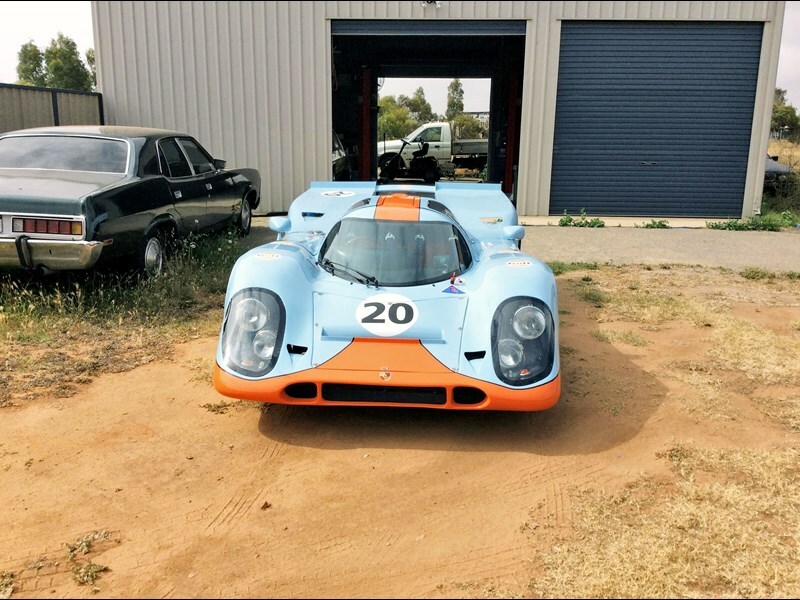 Le Mans iconic race car of 1970. 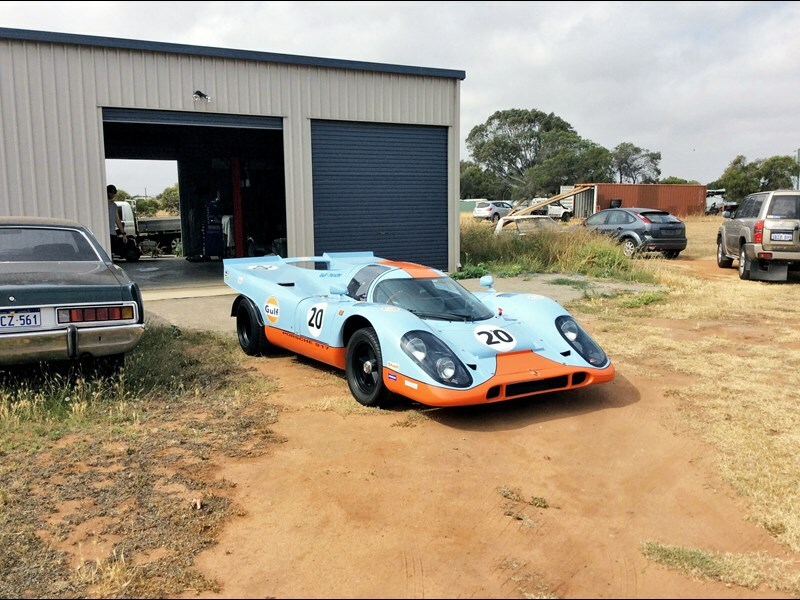 Body moulds from a real 917. 2 full seats. 313 Kilowatts : Over 400 bhp. 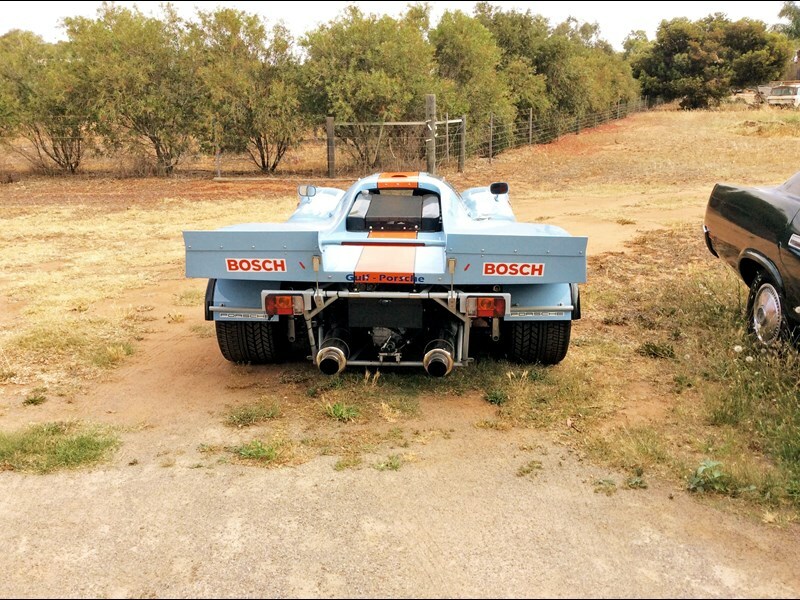 Car comes on hydraulically operated trailer. Bolt in cockpit roll bar. 4 brand new Avon race tyres. Front 6 piston, rear 4 piston disc brakes. Complete photographic record of construction.